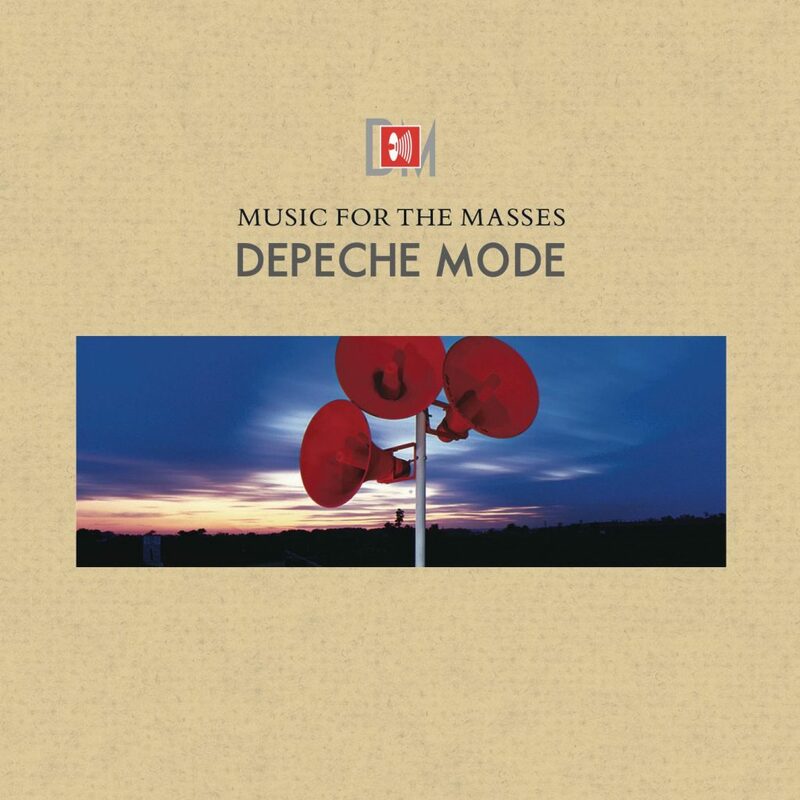 Many are the bands that make overblown boasts about straddling the planet but few make good on that promise in quite the way Depeche Mode’s ‘Music for the Masses’ did upon its release in 1987. This wasn’t just an album title but a full-blown statement of intent that saw the quartet break out and reach a wider, global audience. 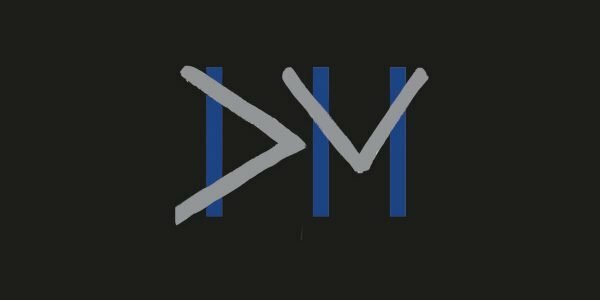 Even before a note of music had been heard, the cover – with its three megaphones pointing in different directions – seemed to signify that Depeche Mode were branching out in all possible directions. 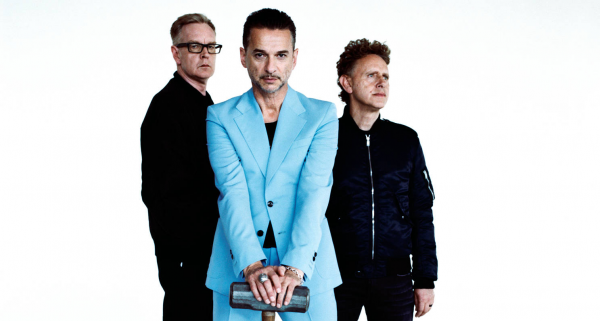 Yet for anyone who had been following Depeche Mode’s steady and methodical evolution from synth-pop poster boys to a powerful and creative force in electronic music, this was less a surprise but more of a consolidation and natural step to bigger and greater things. 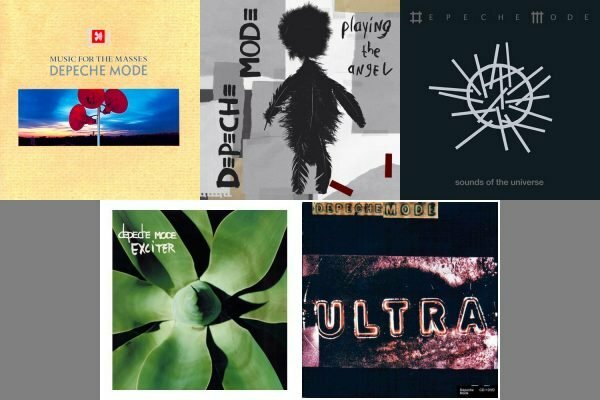 Having previously overcome the departure of songwriting lynchpin Vince Clarke after the release of their debut album, ‘Speak and Spell’, Depeche Mode’s sound moved away from its shiny origins into something altogether darker and more potent. 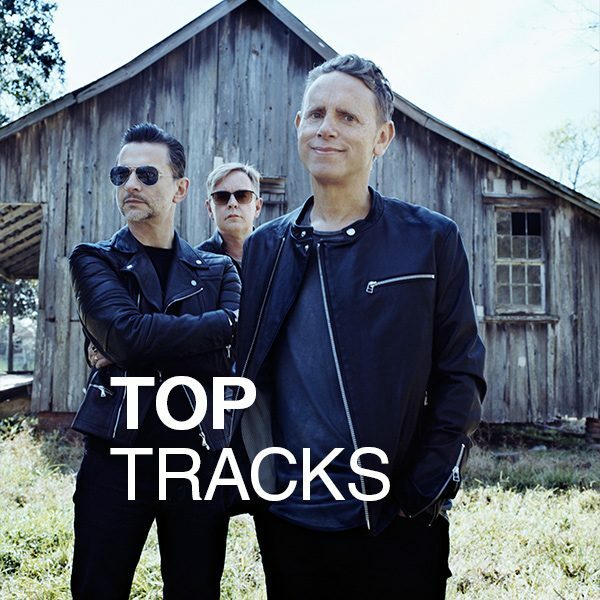 With Martin Gore taking over the songwriting duties, his increasing political and social concerns were married to successful experiments with the then-emerging sampling technology that saw the band steadily increasing its fan base. But it was with their sixth album, ‘Music for the Masses’, that Depeche Mode truly became a global concern. Their first album to be recorded without the production of input of legendary label boss Daniel Miller, sampling was eschewed in favour of a return to synthesizers while the sound became more widescreen and muscular. This was a band hungry for success and with its eyes on the prize. Their ambitions were to pay off. ‘Music for the Masses’ was preceded by two singles in the shape of ‘Strangelove’ and ‘Never Let Me Down Again’. 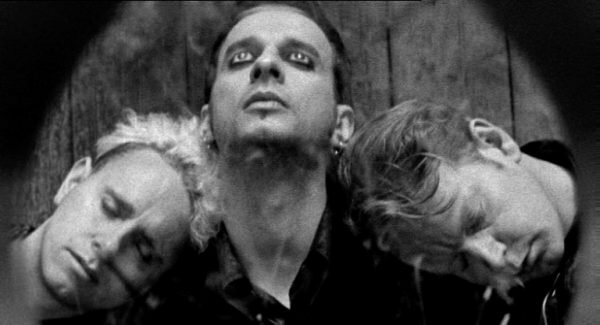 With the promotional videos directed by the idiosyncratic photographer and film director Anton Corbijn – a relationship that continues to this very day – the Depeche Mode that was presented to the world was sexier and more dangerous than they’d ever appeared before. Moreover, they signalled these new ambitions with a visually rich and striking execution that enhanced their new sound. 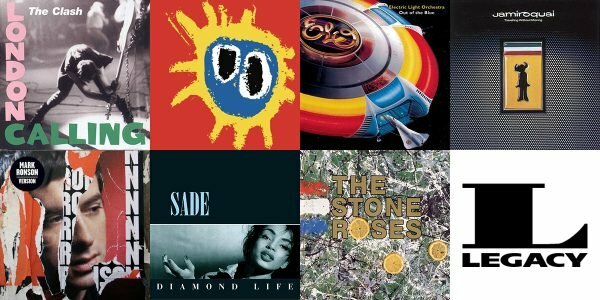 Though the singles were modest hits in the UK, they became huge hits across Europe while making serious inroads into the US Billboard Top 100. 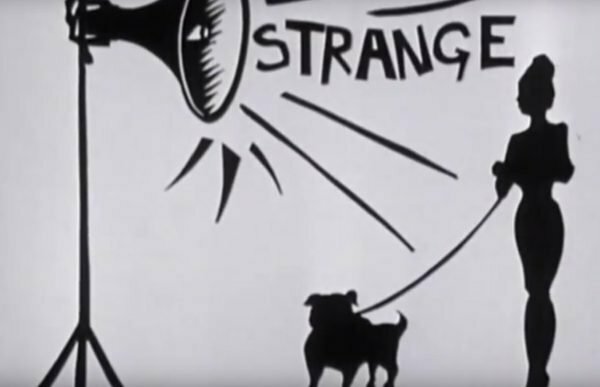 Indeed, ‘Strangelove’ topped Billboard’s Hot Dance Club Play chart, a feat that did much to raise Depeche Mode’s Stateside profile while making serious inroads in countries such as Brazil, South Africa and Canada. Released to widespread critical acclaim, ‘Music for the Masses’ was an album that anticipated the success that awaited it. This was music that sounded as if had been recorded in the arenas that would soon be hosting their hugely successful world tour. Confirming their newfound status as one of the most popular bands on the planet, Depeche Mode completed their world tour at the Pasadena Rose Bowl in California in front of 60,453 baying fans. This was something altogether new for the band but was no mere flash in the pan; this was the foundation for a colossal success the band would build on over the coming decades. Shot by the celebrated film director D.A. Pennebaker – the man responsible for enduring images of Bob Dylan and David Bowie – the gig was documented as ‘101’, so named as it was the 101st gig of the tour. 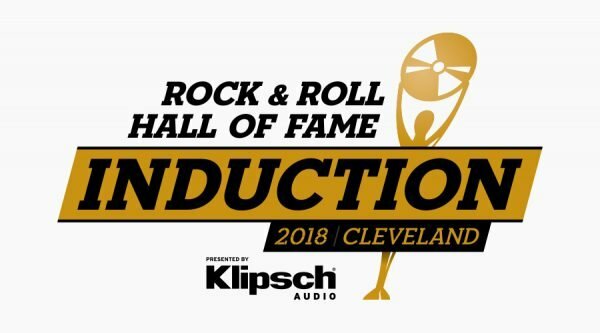 With Depeche Mode getting props and name checks from DJs and producers from the nascent house scene, their position as one of the most influential bands on the planet was assured. With ‘Music for the Masses’ receiving a welcome re-release on glorious vinyl, now’s the time to re-acquaint yourself with this masterpiece before they bestride the globe like a colossus once more.